It took Android longer than its competitors to introduce the Night Light feature into the core operating system. Some people refer to this feature as Night Mode, others (like Samsung) refer to this simply as the blue light filter. Whatever you want to call it though, it can help to reduce eye strain and increase the amount of sleep you get throughout the night. 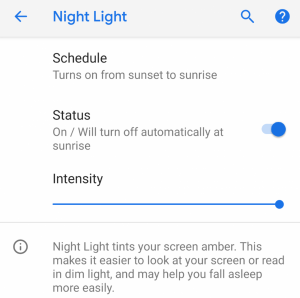 As of right now, Night Light has a limited selection of customization options, but we have discovered some new strings that indicate Android P may be adding some more options in a future update. 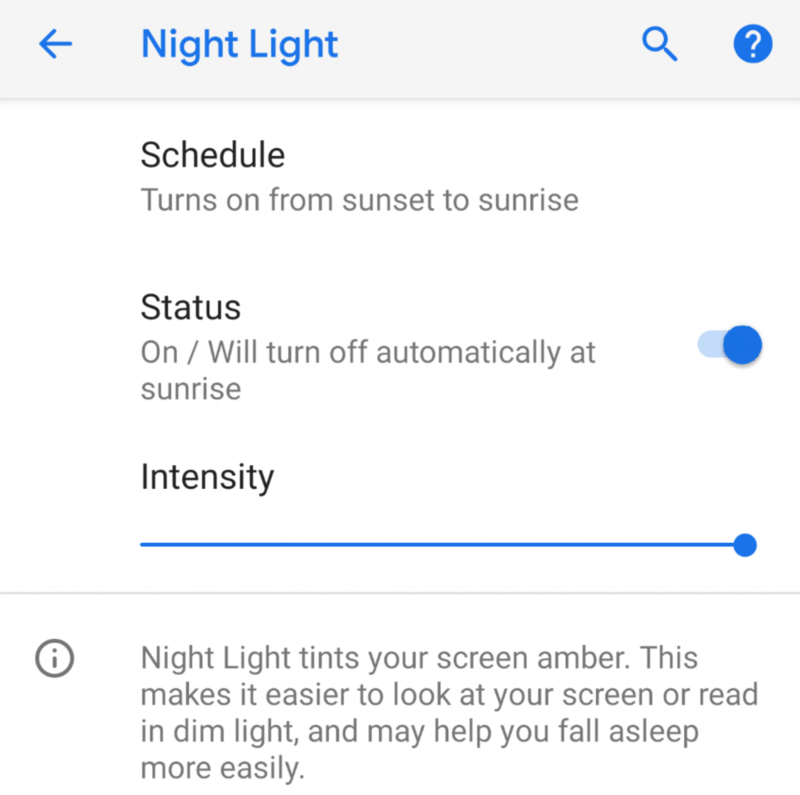 As it is right now with Android Oreo, Night Light comes with some basic but helpful customization options. For example, you can set custom times that you want to enable or disable the Night Light feature. This can be as simple as telling the phone to use sunrise and sunset, or you can get specific and program in your own times if you’d like. Most people wouldn’t expect more out of this special mode, but there are some ways in which this could be improved and we just might see them in a future version of Android P.
When digging through the code we discovered these strings that help give us a look at what Night Light mode could get in the future. 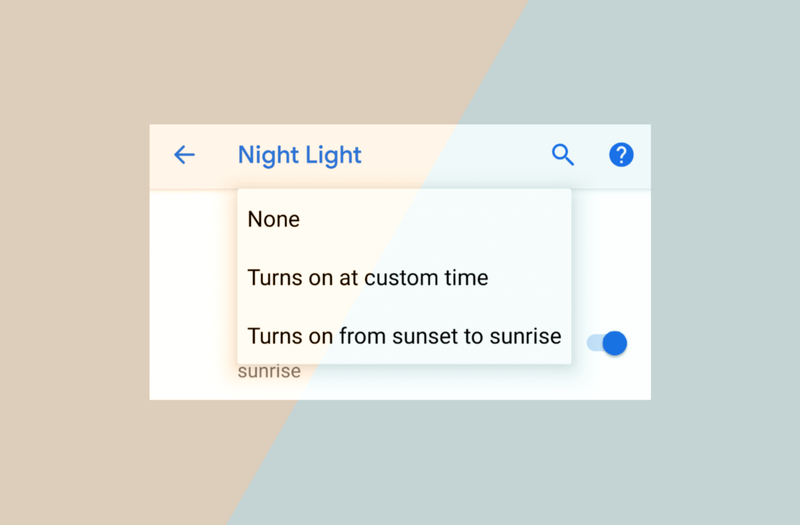 If it turns out to work the way Google intends, then we could get the option to turn off Night Light mode until a certain time. 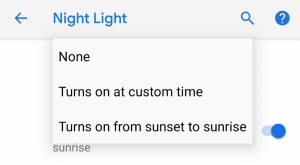 Another option we discovered will let you tell the phone to turn off Night Light mode until sunset. 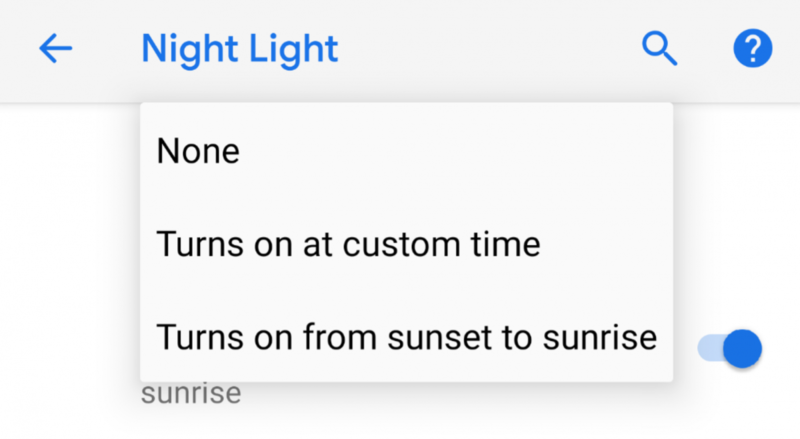 Then we have some other customization options that match those, but this time it’s to tell the device to turn on Night Light mode until a custom time or at sunrise. These options can be useful for those times when you need to get rid of the blue light filter momentarily, but want it to come back on its own later. The popular desktop app F.lux has very similar options. These unreleased changes aren’t guaranteed to make it to the live version of Android P, but it is a good indication as to what Google is currently working on with this feature right now.